When you think of the drinking scene in Japan, most people will think of one thing in particular - sake. I guess I was the same too, since when we first moved to Japan it was the first drink I wanted to try. I've since found out that I'm actually not the biggest sake fan (gasps all around - probably most of all from my husband who is a bit of a sake connoisseur!) but there is one Japanese drink that I tried not long after my first sake experience that I loved from the minute I tried it - and that drink is umeshu! You can see the ume fruit in the picture above -- we have a tree outside our house that has started to produce fruit at this time of year. Umeshu is an alcoholic drink that is made from ume fruit. They're not quite a plum, actually being more closely related to apricots - but since they grow on the trees that are often deemed as "plum blossom" trees, umeshu is often referred to as plum wine. 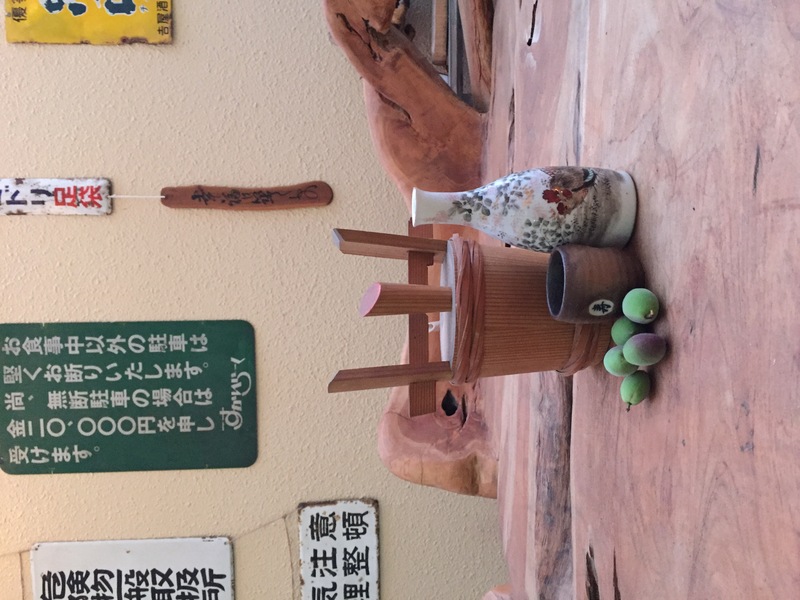 Basically, those ume fruit are taken from the trees when they are still green and unripe (you can see them in that picture above), but they're steeped with shochu and sugar. The end result is a sweet liqueur that has hints of sourness, probably from the fact that those ume fruits are unripe when the umeshu is made! It's delicious, though - and a lot of people say that even when they don't typically enjoy a lot of alcoholic drinks, they quite like umeshu because of the sweet factor. 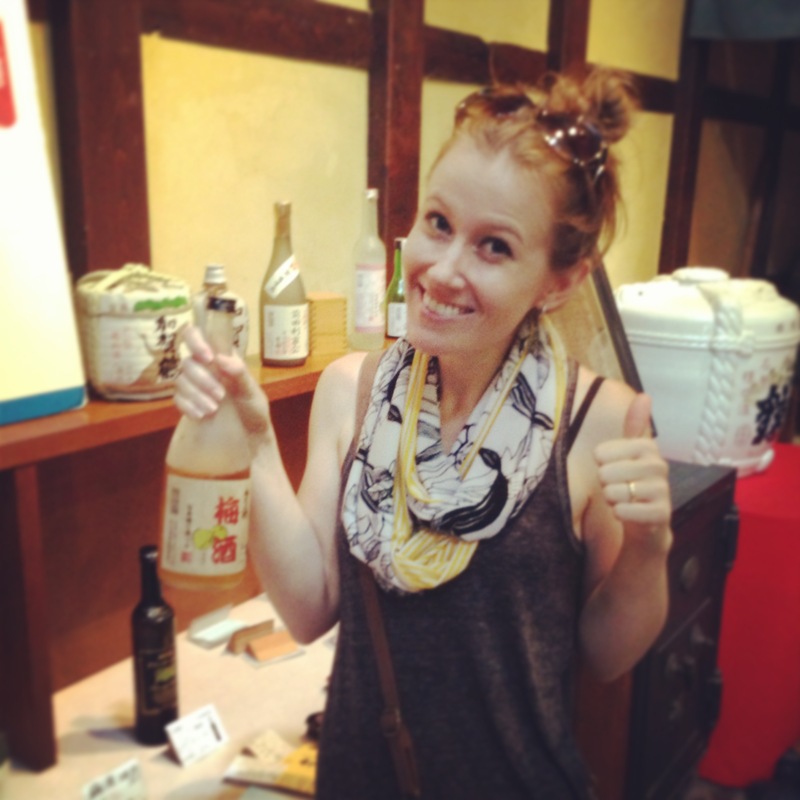 We were at a sake brewery, and you guessed it - I was more excited by the umeshu! What is the best way to drink umeshu? Personally I like mine just as it is, out of the refrigerator - or served on some ice. Oftentimes you will see it on menus used in cocktails or even just served with soda water. In the wintertime, I've heard of people drinking it warmed up too - I haven't yet tried that route myself, though! They sell it at liquor stores, supermarkets - I've even seen it sold at convenience stores like 7-11, Family Mart and Lawson. Generally speaking it will be in a container with a picture of a ume fruit on it. Bar Black Sheep - Enjoy a sip with a resident Shiba! Val's Bar welcomes guests in a quiet atmosphere for them to enjoy a pleasant evening with their loved ones. Their recommended drink is the "Moscow Mule".